Read all parts, of this series, here. I had never seen so many mountains. I loved that we were driving. Ahmad’s car was in the shop, so we took a rental. He wanted to be sure that no one recognized his car. We couldn’t afford to have any confusion along the way. He had family there and without his car, the odds of them knowing he was in town were slim to none. Ahmad drove quietly, jazz playing in the background. With one hand, he held the steering wheel. With the other, he held mine. I sat back and thought about all of the things that I could’ve been doing instead. None of them seemed nearly as exciting or relaxing. He sang while I dozed, seeing, as I didn’t get much sleep the night before. The same way that a child stays up all night on Christmas Eve, my body wouldn’t let me fall asleep. Ahmad knew and told me that he’d be fine if I needed a few minutes of rest. I took him up on that. When I opened my eyes, we were already in Chattanooga. I no longer felt his hand on mine. I adjusted my eyes to see that we were at a Visitor’s check-in. He must have been getting the keys to the cabin. I couldn’t believe that I slept the entire ride. I must have been exhausted. Ahmad didn’t seem to mind. He never sweated the little things. No wonder I enjoyed spending so much time with him. When did he get so smart? I liked it. Even though he had a smart mouth, he was still respectful. I never knew what that looked like, until now. I sat in the car and waited for him to come and get me. I noticed the scenery around me. The mountains were beautiful. Any other time I would be nervous. You would think that being in an unfamiliar city, in an unfamiliar car, with a slightly unfamiliar man would be reason enough to cause a panic attack. But there was something about Ahmad that always put me at ease. He knew how to make me feel safe. I needed that. While I waited, I rested my eyes. Taking in all of the beautiful scenery was a sensory overload. I just wanted to bask in the feel of this new city. The windows were down and I could feel the breeze against my skin. So you could imagine my shock when I felt a hand on the back of my neck. Slightly scared, I didn’t move. I opened my eyes and I turned around. Walking inside, I noticed the smell of patchouli and frankincense, the lights were out and there were flameless candles in the center of the dinner table. We spent the next thirty minutes eating and talking. He rented a movie on pay-per-view and I changed into something more comfortable. I chose an oversized t-shirt. T-shirts always made me feel cuddly. It felt good to be able to relax for the night and not have to worry about anything. When I walked back into the living room, he had popped some popcorn and dimmed the lights. I noticed that he only had on pajama pants. I found it funny that we had opposite ideas of comfort. We spent the next few hours watching this romantic comedy about a woman that fell in love with an unlikely man. He wasn’t what most people would call eye-candy. He also didn’t have a lot of money. But he made her laugh and he took care of her emotionally, physically, and financially. They were a very unlikely pair. Ahmad ran his fingers through my hair while I rested on his chest. This oversized chair was just enough room for the both of us. I was so comfortable that I barely made it to the end of the movie before falling asleep. The anxiety that kept me awake the night before had dissipated. I fell asleep without the fear of what would happen once I woke up. I knew that Ahmad wasn’t going anywhere. He hadn’t left my side yet. We slept for the rest of the night. I woke up to the smell of eggs. I knew that smell anywhere. Before I could get out of bed to wash my face and brush my teeth, Ahmad walked in with a tray of breakfast. When I got back to bed, he was sitting on his side with a matching tray. The only difference, there was a small bouquet of flowers on mine. He had spent the early parts of the morning preparing omelets, bacon, toast, fresh fruit, and freshly squeezed orange juice. I never told him that I hated surprises. It’s bad for my anxiety. But he sounded so excited that I didn’t want to ruin it for him. Sitting, eating this breakfast in bed, one thing came to mind. It was almost impossible to wake up that next morning. The aspirin that I took made me sleep longer than usual. When I woke up, the sun was shining through the blinds and onto the dresser mirror. I rolled over to see food on a tray beside me. The eggs and grits were ice cold. Why did so many things remind me of him? Why couldn’t I enjoy a beautiful moment with a beautiful man without my mind taking me back to one of the ugliest moments of my life? Abuse can have that effect on people. Martin always made sure that he had control over me, even from afar. I couldn’t be hours away and not think about him. He just looked at me. I knew that he was concerned. He ran his fingers along my lower back and looked into my eyes. 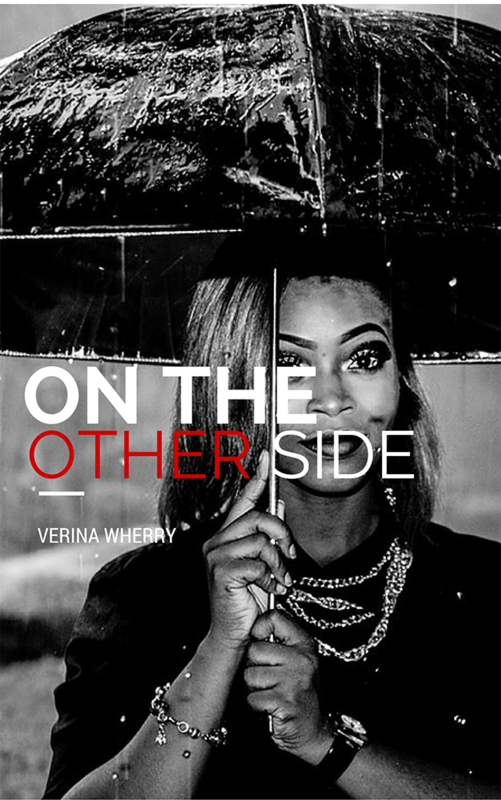 Verina Wherry is a writer, poet, and aspiring author who spends her free time listening to music, shopping for incense and watching Criminal Minds reruns. Find her on Instagram & Twitter.